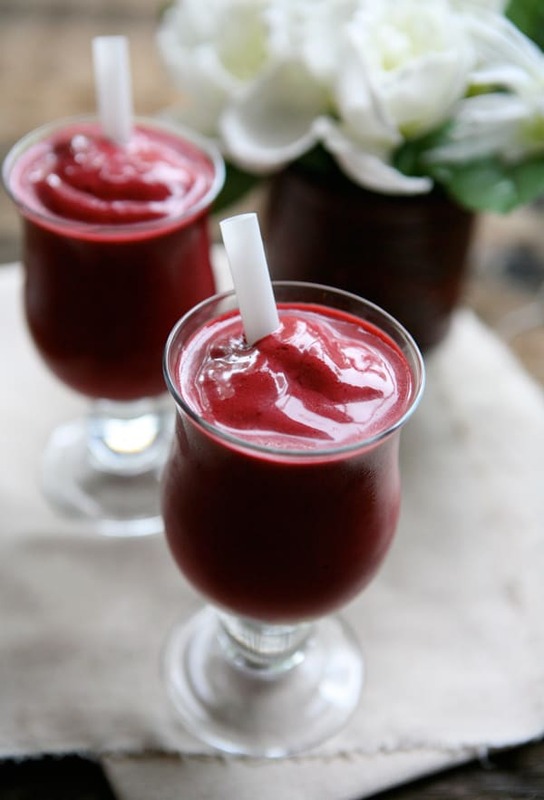 I’ve been making these healthy fruit filled smoothies alot more often. This is my latest creation. About the lighting in the photos: the photo above is without a white bounce card, and the photo below has one. I usually always use bounce boards, but this photo above without one was so interesting. 1. 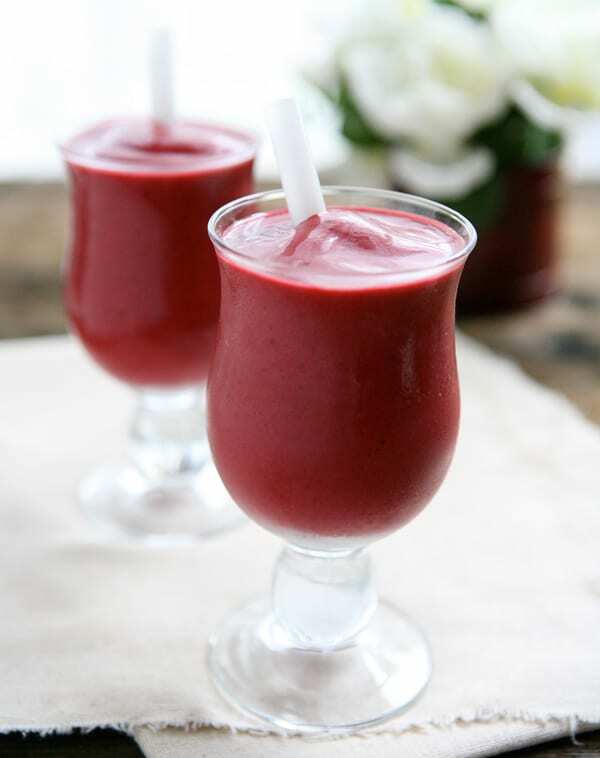 Combine fruit, yogurt, jam, milk and lime juice in a blender. 2. Add ice and blend on high until smooth. looks tastee. I’ve been looking for a new type of smoothie to make. My current favorite is blood orange, granny smith apple, and banana. I love cherry. Its really hot, this is perfect for the 4th.